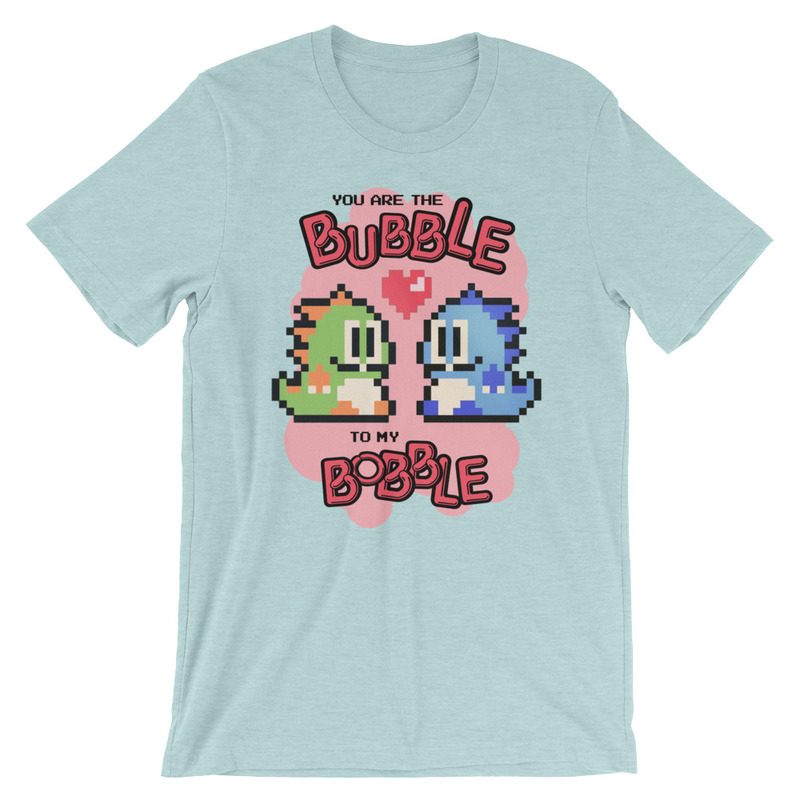 Just a cute little Bubble Bobble retro game t-shirt design, for those of us whose partners help balance out our bobbly natures. 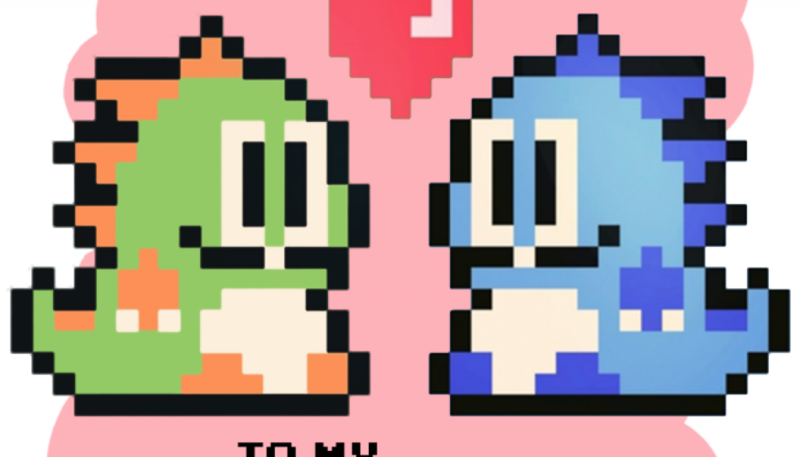 Or, you know, for yourself. Pick one up in the shop.